Once again, and for the fourth time in nine years, in the wake of New Zealand’s general election, the aftermath for the left is despondency and despair. The National Party has again won a percentage of party votes that should be impossible under MMP; a racist and slightly mad populist holds the balance of power despite only receiving 7.5% of the vote; and the Green Party has lost half its MPs. While it is understandable, much of the reaction thus far involves negativity towards voters and non-voters alike—largely consisting of accusations that the electorate are inherently either selfish or apathetic. This analysis does not feel right to me at all. We are allowed to weep, and we are allowed to lash out. To be emotional in this time is inevitable. My instinctive response is to try to avoid my emotions and rationalise everything, hence this essay! But it is counterproductive and, in my view, quite unfair to attack the voters. We need to analyse why people voted the way they did, what went so badly wrong that National could all but win a fourth term, and what needs to happen in 2020. Don’t mourn, organise! Politics primarily comes down to two things: the material conditions of the voters, and which political force is articulating the most coherent and convincing story about why the status quo is the way it is and what to do to change the to improve conditions for people in a just way. In this essay I will try to analyse why the status quo continues to prevail despite an economic system that is granting benefits of growth to the already wealthy instead of to the majority of people. Bill English celebrates National’s unexpectedly strong showing. Image credit: Newshub. The main reason the left feels so disorientated by this result is that National’s large, solid support base has once again not budged. In moments of anguish, we see this fact as proof that a majority of New Zealanders are selfish and do not care about poverty, inequality, and climate change, as these issues do not affect them. I believe this attitude is defeatist, simplistic and wrong. Why has National received 45-47% of the vote in every election since 2008? To understand we first must adjust that for turnout. National has in fact received 35-36% in the last four elections, with turnout fairly steady at between 74% and 79%. In short, the 35-36% of New Zealanders who vote National largely benefit from economic growth driven by rising house prices and low wages, and from the income tax cuts granted by a National government in surplus. It can be argued that these people—the older, conservative, comfortable middle-and-upper classes—are morally condemnable for not caring about poverty, inequality and climate change. To argue thus does not help us in any way, even if it is true. People vote for their living standards and are mostly unaware of what is going on outside of their own personal bubbles. This applies to the left as well as the right. This is not going to change. The problem is that, while 35% of people vote for National, we are not able to either articulate a more coherent narrative about society than the right’s vision of neoliberal individualism and therefore win over some of their voters, or muster at least 40% of potential voters to outvote and defeat the comfortable middle classes. The only way National will lose their support base and cease to continuously win elections under the current political climate would be a severe recession caused by the global economy tanking and/or the collapse of the housing market. This would be a catastrophe for all of us, hitting the poorest the hardest, as it would result in mass unemployment, massive cuts in government spending from whichever neoliberal government was in power, and in a ‘lost generation.’ This is precisely what happened in Ireland, Greece and Spain, and to a lesser extent in many other European countries. We simply cannot let it happen here. We need to defeat National, diffuse the housing market bomb, make our economy more resilient to international conditions, and rebuild the welfare state—before it is too late. But Jacinda Ardern increased the Labour vote by 10.7%? Once again, it is not as simple as that. In 2014, Labour and the Greens fell to a nadir, with a combined total of 35.8% of the vote, while National received 47%, an unprecedented result for any party in an MMP system, and especially a scandal-ridden government going into its third term. This result looks even better when you realise that Colin Craig’s Conservative Party all but stole 4% from National—if it had not been for the Conservatives, Key would likely have scored an outright majority, utterly unheard of under MMP. The collapse of Craig’s party thereafter masked the polling trends over the next three years. National suffered a small amount of third term attrition, but that drop in the polls was stymied by pretty much all of the former Conservative voters returning to the Nats or New Zealand First. The polls did not change much when John Key resigned and National transitioned with once again remarkable skill to Bill English. Between the resignations of John Key and Andrew Little, the Labour-Green bloc polled consistently within a range of 37.1% and 44%, while National’s range was 43%-49%. With the election result of Labour-Green 41.6%, National 46%, these poll results were strikingly similar to what happened. What, then, was ‘Jacindamania’ all about? Firstly, she realigned the existing centre-left. The Greens were polling between 9% and 14.5% before hitting an all-time high in Colmar Brunton polling of 15% after Metiria Turei’s admission of benefit fraud and attempt to start a conversation about poverty. In the chaos that followed, with Kennedy Graham and David Clendon sabotaging the Greens, Ardern becoming Labour leader, and Metiria herself resigning, the Greens collapsed from 9-15% down to their worst election result since 2005, 5.9%. Labour, meanwhile, increased their vote by 10.7%. This is roughly equivalent to the 4.8% of voters Labour took from the Greens, plus the 4% they had already taken from National while Little was still leader, plus a couple more percentage points from Winston Peters. NZ First polled between 7.5% and 13% while Little was leader, and ended up on 7.5%, at the bottom of that range. It is likely Ardern took 2-3% from NZF, but no more. All ‘Jacindamania’ resulted in was Green voters jumping from their burning ship to Labour, plus a small number of NZF voters also returning to Labour. Ardern is acting like this was some kind of triumph, and from her narrow, tribally Labour perspective, 13 new MPs is a victory. To not manage to overturn a three term government, despite the massive media hype she generated, is a cataclysmic defeat. Jacinda Ardern should not be celebrating victory over anyone but the more progressive Greens. Image credit: RTE. Secondly, during her seven-week campaign, Ardern did, for a time, start to win over National voters. The combined Labour-Green polling under her leadership ranged from 41.3% to 51%. The National vote ranged from 39% to 47.3%. Why, then, did the election result end up at the very lowest estimate for the centre-left, and the very highest estimate for the right? There are two most likely reasons for this. The first is that people did not turn out for Labour and the Greens. The second is that ‘Jacindamania’ ground to a halt because of Labour’s utter weakness on tax. This second explanation requires some historical context. Since the 1990s, social democratic parties across the developed world, such as Labour, have been predominantly run by ‘centrist’ leaders who are not prepared to challenge the neoliberal status quo of small government and low taxes on the rich. This movement in social democracy, named the Third Way, was spearheaded by Bill Clinton in the US and Tony Blair in the UK, who, after the right-wing revolutions of Ronald Reagan and Margaret Thatcher in the 80s, argued that voters were fundamentally happy with this new norm of stratified, unequal societies, and that the centre-left should not alter neoliberalism once in power. The success of Third Way politics in hijacking social democratic parties across the western world has meant that elections since the 80s and 90s have been fought on this premise: under conditions of economic growth, the right, if they win, will deliver tax cuts, and if the centre-left win, they will deliver a small increase in public spending. However, the centre-left will not raise taxes much if at all, and will not counter any of the systemic changes made in the 80s that saw dramatic rises in inequality across the world. If there is a recession, both parties will cut government spending, increasing inequality even more. The neoliberal project could not have been successful without the victory of Third Way politics within formerly left-wing parties, parties which would traditionally have opposed and implemented policies to counter these shocking levels of inequality. Margaret Thatcher, the Conservative Prime Minister of the United Kingdom from 1979 to 1990 and the world’s most iconic political champion of free market, union busting neoliberal economics, was once asked what her greatest achievement was, and her answer was New Labour. New Labour was the rebranded UK Labour Party after the election of Tony Blair as leader in 1994. This was either high praise or a damning indictment of Blair’s legacy, depending on what side of the political spectrum you fall on—for whether or not you agree with free market economics, what is clear is that the founder of neoliberalism in the UK saw the final victory of her political and economic project as the coming to power of a Labour leader, and from 1997 to 2007 a Labour Prime Minister, who believed that Thatcherism as an ideology and a set of policies was both necessary and justified. An example of New Labour cementing neoliberalism into place in Britain was the Chancellor of the Exchequer (UK equivalent of the Finance Minister), in Blair’s government, Gordon Brown’s approach to the size of government. After 18 years of a hard right Conservative government aggressively shrinking the size of the welfare state, with fire sale privatisations, major cuts to public services, and huge tax cuts for the rich, Brown came into office as Chancellor promising to commit for the first two years of the New Labour administration to the same austerity spending plans as the outgoing Conservatives. He also pledged Labour to a Fiscal Golden Rule of only ever borrowing money for investment purposes. 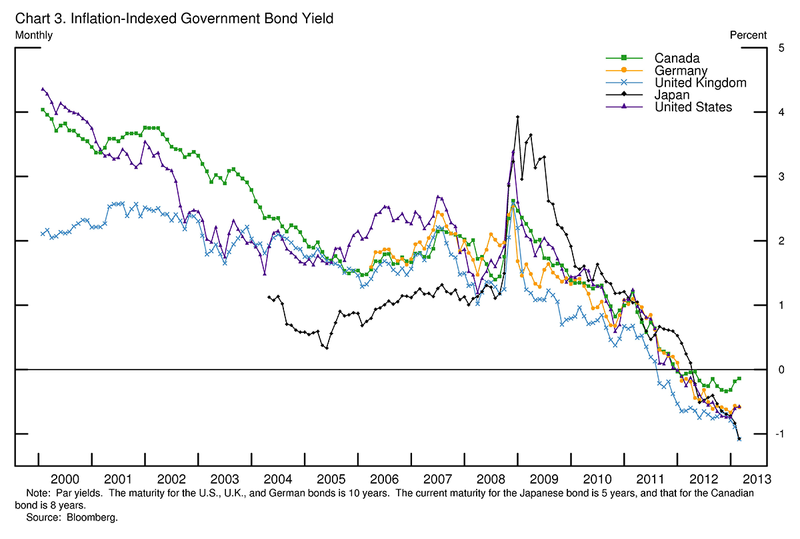 As a package these fiscal policies meant keeping the size of the state low, to Thatcher’s delight. Left-wing critics, such as socialist Labour MPs Jeremy Corbyn and John McDonnell, called for an increase in social spending and in taxes for the rich to close the inequality gap Thatcher had created, and were ignored. Brown was later to be Prime Minister from 2007-2010, and implemented cuts to government spending in response to the Global Financial Crisis before being voted out at the 2010 election, only for the Conservatives to increase the harshness of the cuts. New Labour represented, as was always the intention of the neoliberals in the UK, the full adoption of free market economics by the major social democratic party alongside the major right-wing party which introduced the ideology in the first place. Tony Blair, Prime Minister of the UK 1997-2007, and Bill Clinton, US President 1993-2001, the Third Way ideologues. Image credit: BBC. Left-wing critics of Third Way politics opposed Blairism, but were even more hostile to 1993-2001 US President Bill Clinton of the Democratic Party. President Clinton not only cemented neoliberalism as New Labour did, but aggressively expanded it. He was responsible for, among other policies: the North American Free Trade Agreement (NAFTA), which locked in low wages, labour and environmental standards across the continent; the repeal of the Wall Street regulation Glass Steagal which separated investment banking from commercial banking, contributing directly to the Financial Crisis; and savage cuts to welfare in the Personal Responsibility and Work Opportunity Reconciliation Act of 1996. In the State of the Union address in which he announced these welfare cuts, Clinton declared that “the era of big government is over.” This aptly summarises the Third Way approach to the economy: the free market is here to stay. In New Zealand, Helen Clark’s Fifth Labour Government conformed directly to this formula of Third Way politics. Under Clark’s watch, inequality continued to rise, until the implementation of Working For Families, when it fell back to roughly the same level it had been before Labour came into power, under the market fundamentalist Fourth National Government. Labour raised the top rate of income tax from 33% to 39%, which was significantly lower than the 66% top rate under National Prime Minister Robert Muldoon (1975-1984). But the bottom 10% of New Zealanders got poorer under the Clark government, because Labour refused to extend Working For Families to beneficiaries. This is consistent with Third Way ideology, which allows for a very moderate redistribution of wealth to working families in times of economic growth, but only conditionally. If the economy stops growing, advocates of Third Way politics believe that such redistribution cannot be afforded. Meanwhile, this redistribution is not granted at all to those who are not in work, whom Third Way politicians condemn to poverty, starvation, poor health, and decreased life expectancy. This is the result of refusing to break with the fundamental structures of neoliberal economics. Meanwhile, under Clark, our fresh water quality was degraded, net carbon emissions rose, and house prices doubled. 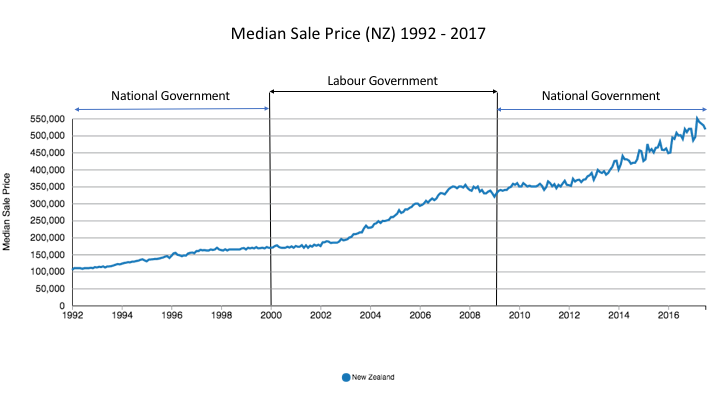 Inequality in New Zealand over time—Helen Clark’s government never intended to restore inequality levels to what they were before the 1984-1993 neoliberal revolution. Image credit: Closer Together. Jacinda Ardern is a Third Way politician, as are most Labour MPs, and some in the Greens (disgraced former Green MPs Kennedy Graham and David Clendon would probably fit this description, but not social justice activists such as Metiria Turei). In March this year, Labour and the Greens, who had agreed in a Memorandum of Understanding in mid-2016 stating that they would work together to change the government in the 2017 election campaign, signed up to Budget Responsibility Rules (BRR) which committed the parties, in a future coalition government, to tight fiscal parameters. These parameters were directly modelled on New Labour’s fiscal Golden Rule policy and its commitment to austerity-era spending plans. Labour leader at the time, Andrew Little, echoed the words of Bill Clinton at the launch of BRR; “We’ll be a smart government, not necessarily a big government,” he declared. The key aims of the BRR were to keep core crown spending to an average of 30% of GDP over a three year cycle, or roughly 1% of GDP higher than National intended to spend, while running surpluses and reducing debt to 20% of GDP. 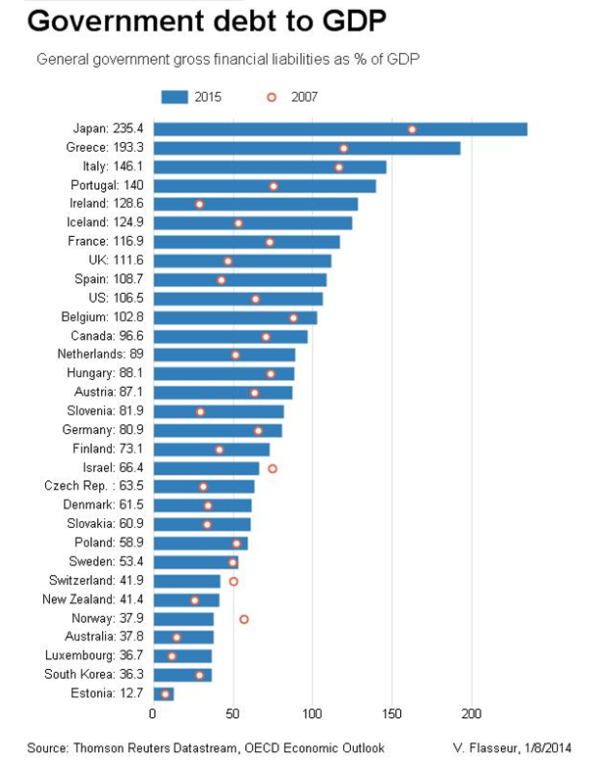 This is while international interest rates are the lowest they have been in decades and while New Zealand has a debt level so low that it is the envy of the world. This initiative came, not from the blatantly Third Way and ‘centrist’ Labour Party, but from Greens Finance spokesperson and current sole co-leader James Shaw, arguably a Third Way politician himself—certainly on the right of his party. The BRR was a direct signal to the media and business establishment that a Labour-Green government would not deliver any structural changes to New Zealand’s economy—changes which would challenge the status quo of low public spending, low taxes on the rich, high inequality, high poverty, ridiculous house prices, toxic rivers, and rising emissions. The signing of the Budget Responsibility Rules. Left-to-right: now-former Green MP Barry Coates, Labour’s deputy leader at the time Jacinda Ardern, Green co-leader and finance spokesperson James Shaw, Labour leader at the time Andrew Little, business adviser Matt Pritchard, now-former Green co-leader Metiria Turei, Labour finance spokesperson Grant Robertson, and lawyer Hayden Wilson. Image credit: Kensington Swan LinkedIn. Little’s resignation and Ardern’s dramatic rise to the Labour leadership saw her double down on this Third Way political positioning. Soon after coming into office in 2008, the Key government cut the top tax rate from 39% back down to 33%. While Clark had been weak by historical standards for only raising the top tax rate to 39% when it had once been 66% and higher, and while David Cunliffe, Labour leader during the disastrous 2014 election, was even weaker for only promising a 36% top tax rate, Ardern ruled out any increase in the top tax rate at all—she could not even propose raising taxes on the highest income earners by 1%! In an interview with Guyon Espiner, in which Ardern controversially stated that neoliberalism had failed, she also ruled out any changes to the structures created by the 1984-1993 New Right governments which originally embedded small government and free market economics in New Zealand: altering the Reserve Bank Act, reversing asset sales, and bringing back inheritance tax were all off the table. She may not publicly identify as a neoliberal, yet her policies dispute her claims: she re-committed to the Budget Responsibility Rules which had been signed when she was deputy Labour leader, and said she was open to a renegotiation of the TPPA. Meanwhile, what didn’t she refuse to rule out? New mining, fracking, or deep sea oil and gas drilling projects. Ardern was a staffer to Tony Blair in 2006 and is committed to Third Way neoliberal politics, just as he was. In the 1992 UK general election, Labour leader Neil Kinnock’s hopes of defeating a three-term right-wing government were shattered. The indirect predecessor to Tony Blair had spent nine years moving his party to the right, ditching any hint of policies that would offer radical change, such as taxing the rich. Alongside that, Kinnock had ditched any hint of class analysis from the rhetoric of the Labour Party. Everybody thought Kinnock would lead Labour to its first victory since 1974, but instead they were given another five years in opposition, to only win government in 1997 after the complete implosion of the Conservative government—which oversaw economic catastrophe, was soaked in endless scandal, and succumbed to internal civil war. Why did Kinnock lose? Because he tried to dodge the issue of how he was going to pay for the moderate increases in public spending he was promising. The Conservatives ran now famous posters entitled “Labour’s tax bombshell,” which implied that every Briton would have higher taxes under Labour due to a weak economy and a larger government. These posters had a devastating effect and destroyed Kinnock’s campaign. This devastating Conservative attack ad from 1992 bears close parallels to the 2017 National Party campaign which stopped Jacindamania in its tracks. Image credit: Pleece & Co.
One of the main reasons why Ardern’s flame faltered and failed was National’s very effective campaign against New Zealand Labour’s ‘tax bombshell.’ Ardern made a vague promise of a tax working group if she was elected to “assess how to make the tax system more progressive” after the election. This was a hubristic move and cost her campaign dearly. Voters whose living standards are already eroding do not want vague statements regarding who is going to be taxed and how much they are going to be taxed, they want clarity—and the National campaign knew this. National went after the tax working group proposal hard—and it hurt Labour enough that Ardern had to perform a humiliating u-turn and announce that the results of the tax working group would not be implemented until 2021, after the next election. This tax screw-up followed by the u-turn saw Labour drop from 44% to 37% in Colmar Brunton polling in the final week of the campaign. ‘Jacindamania’ had been taking votes from National, and then fell flat. But was there an alternative? Undoubtedly. Jeremy Corbyn was the first major British politician in 32 years to break with neoliberal politics. He came from the diminished but determined socialist tradition in the UK Labour Party associated with opposition to capitalism, war, nuclear weapons, and the European Union. Corbyn was given 200-1 odds of becoming Labour leader when he declared his candidacy, barely received enough nominations to get on the ballot, and then a couple of months later won the leadership with the biggest mandate of any leader in history, 59.5%. From day one, the establishment was against him—74% of media coverage of Corbyn was negative, 80% of the (predominantly Third Way, Blairite) MPs in his own party filed a no-confidence motion against him not even a year into his leadership, and he generally struggled to gain any traction for his political project. He was 20% behind in the polls in April this year when Conservative Prime Minister Theresa May called a surprise general election. She set a campaign period of just seven weeks and refused to take part in any televised debates with other party leaders. Everybody was predicting a landslide victory for the Conservatives and that Corbyn would have to resign, defeated, a symbol of the electoral oblivion inevitably inflicted upon those who try and contest elections from the left. Corbyn ran his supposedly doomed campaign on the slogan “For the Many, Not the Few.” His manifesto promised £48bn of new government spending in order to drastically reduce the gap between the rich and the poor and restore a measure of equality to Britain. He promised to raise taxes by an astonishing £52bn to pay for this. By all conventional political wisdom, this was suicide. Imagine the campaign the Conservatives could run against a Labour Party promising to raise taxes by many times what Kinnock had proposed in 1992—it would be Labour’s tax bombshell, multiplied. Jeremy Corbyn passionate as he launches the 2017 Labour manifesto: ‘For the Many, Not the Few!’ Image credit: EveshamJournal. Except for one absolutely crucial detail. Corbyn promised to only raise this £52bn of taxes on the top 5% of Britons. He was running a radical campaign based on the accurate premise that the rich have hoarded all the wealth in society, and that by dramatically raising their taxes and then spending that money in the interests of everybody, the gap between the rich and the poor could close. It worked. This is because it was an injection of radical, class-based politics into a previously neoliberal political atmosphere—Corbyn’s campaign provided the electorate with a sense of powerful perspective which resonated strongly with millions of people. Corbyn went from 25% in the polls seven weeks out from the election to 30%, 35%, and finally won 40% on voting day—the highest percentage UK Labour had received since Tony Blair’s 2001 election victory; when adjusted for turnout, Corbyn’s result was higher than 2001. It was in fact Labour’s second biggest share of the vote since 1979, second only to Blair’s 1997 landslide. The Labour vote went up by 9.6%, their biggest increase in votes between elections since 1945. While Labour did not win, Corbyn’s electrifying campaign did stop the Conservatives from securing a majority in parliament, when everybody from the media to the Conservatives to the Third Way majority within the Labour Party had been convinced that the Conservatives were on course for an historic landslide. Corbyn did not win these votes from other left-wing parties, as Jacinda Ardern did. The surge in support for UK Labour and Corbyn’s political project came from gaining older, conservative voters from the collapsing far-right United Kingdom Independence Party, voters commentators were sure would go to the Conservative Party; it came from taking votes directly from the Conservatives; and, most importantly, it came from an absolutely remarkable surge in turnout from young, working class, and black and minority ethnic voters, with turnout among 18-24 year olds increasing by a staggering 16%. Jeremy Corbyn increased the Labour vote share by more than any Labour leader since 1945—and he didn’t do it by cannibalising rival left-wing parties. Image credit: SRF. Corbyn proved that to succeed, a left-wing party in the age of populism needs to run on a platform to clearly position itself as a party for the working class and against the wealthy elite; For the Many, Not the Few. Young people are sick and tired of establishment politics and establishment economics; we yearn for something which actually resonates with our lives, which involve high house prices, ridiculous rental costs, low wages, debt, and a general feeling that our future living standards will not be as good as the living standards our parents have enjoyed. We yearn for a movement in politics to challenge the status quo, and to state the obvious: the wealthy and the powerful around the world have rigged the economy in their favour, and it is hurting ordinary people like us. Corbyn also proved that young, working class and ethnically diverse people will turn out to vote for social democratic parties, but only when they believe that genuine change is possible. At Glastonbury after the election, Corbyn once again did something which defied conventional wisdom. Amidst the roaring of the crowd gathered to listen to him speak, he read 19th Century poetry to young people primarily there to attend a music festival! The words he read out demonstrate perfectly the approach the left in Aotearoa desperately needs to use to counter right-wing political narratives, and to change the world. There were two main reasons why ‘Jacindamania’ did not materialise. One was the weakness at the core of her Third Way politics; she refused to campaign on a platform of raising taxes on the rich, and was decimated on that crucial issue as a result. The other reason was that young people; the working class; Māori, Pasifika, and other ethnic minorities; the disenfranchised; the people who are actually affected by neoliberal policies, did not turn out to vote for her. This was despite the advantage she had that Corbyn did not have, of both the establishment media and the Third Way forces within her own party being exceedingly sympathetic to her political project. Where Corbyn’s dramatic surge came from young former non-voters, UKIP voters, and Conservative converts, all Ardern was able to manage was to convert Green votes, while the overall centre-left didn’t progress at all. The narrative that those who do not vote do not care needs to be smashed—it is patronising and ignorant. The reason why low voter turnout is concentrated among the disenfranchised is that these people are disenfranchised and know from experience that establishment politics have not helped them in their lives. Non-voters know that whether the government is centre-left or centre-right, red or blue, and whatever the minor parties in the governing coalition are, the election result will not significantly improve their living standards. They have been betrayed again and again by political leaders and their cynicism is both understandable and justified. Voter turnout has been steadily declining since the beginning of neoliberal policies: it was only up on 2014 by 0.9% in this year’s election. Image credit: Te Ara. Turnout of eligible voters in the last four elections has been: 79.5%; 74.2%; 77.9%; 78.8%; factoring in non-eligible voters, it was lower than those figures. Jacinda Ardern utterly failed to expand the electorate. That is why the 35% of New Zealanders who benefit from the gains of economic growth going to the asset-rich can continue voting in National governments to protect their wealth and essentially give themselves tax cuts. It is because the disenfranchised will not turn out for bland, boring, ‘centrist’ Third Way politics. Non-voters knew that Ardern was not delivering a break from these politics, the politics that have kept them and their whānau in poverty. They do not vote because nobody represents them. In order to win, the left desperately needs those non-voters. What Happened To the Greens? I would argue that the Green Party’s election campaign saw both the rise and fall of a chance for New Zealand to have its own Corbyn moment. What Metiria Turei did was braver even than Corbyn, who has stood with oppressed people for decades and been arrested doing so; Metiria put her own personal story of living in poverty on the line and was torn down for it. Metiria confessed to the cardinal sin in our beneficiary-bashing neoliberal society: she had lied to Work and Income to get more money when on the benefit because she was not receiving enough money to live on. Metiria Turei confesses to benefit fraud at the Green Party AGM, unleashing a storm that comes to define the election. Image credit: Newshub. Once again, historical context shows a much more illuminating story than the media and mainstream political parties are prepared to accept. In the 1991 ‘Mother of All Budgets,’ National’s Finance Minister Ruth Richardson heartlessly and methodically slashed all benefits to well below the poverty line. She commissioned researchers at Otago University to conduct a report into how much money it would cost to survive in New Zealand and took the very lowest of their estimates, despite warnings that this amount of income could only last people a few weeks before they started developing health problems from malnutrition. Richardson then reduced that already-too-low number by 20%, and set the result as the new level of core benefits. There is no denying the brutality and callousness of her actions. She did it in order to counter rising levels of government debt, believing that cutting benefits for the poorest New Zealanders was a better way to solve the debt crisis than raising taxes on the wealthy, just as inequality was shooting off the charts; she did it because her neoliberal ideology dictated that those who are not in work deserve to suffer in poverty. The 1991 benefit cuts were one of the cruellest acts of state violence in Aotearoa’s cruel, colonial history. Metiria told her story in order to raise awareness of the fact that the welfare system does not provide enough money for recipients to live on. With one of the highest child poverty rates in the OECD, with the highest rate of homelessness in the developed world and people in this country living in cars or on the streets; with the top 10% of New Zealanders owning four times as much wealth as the bottom half of the population, something has to change. Metiria’s story is a vital piece of a broader conversation that we need to have about this inequality crisis. Telling her story cost Metiria dearly, so much so that media harassment of her family forced her into resigning as Green Party co-leader. Her stand was the most courageous political act I have seen in my (relatively short, 19-year-long) lifetime. Green MP Jan Logie, who has somewhat more wisdom and life experience than me, said the same thing on the night Metiria resigned. This movement to challenge poverty and inequality in Aotearoa is long overdue. Just one of the statistics that demonstrates Aotearoa’s inequality crisis: we have by far the worst homelessness in the developed world. Image credit: The Daily Blog. Metiria telling her story directly challenged the neoliberal status quo which deliberately keeps people in poverty. That could not be tolerated by the establishment who benefits from neoliberalism. The right screamed from the heavens; the corporate media bayed for her blood; and, perhaps most disgracefully of all, Jacinda Ardern refused to stand with Metiria, saying “you cannot condone lawbreaking”, and ruling her out of any cabinet role in a Labour-Green government. When two Third Way Green MPs, Kennedy Graham and David Clendon, resigned in protest against Metiria and her admission of lying, and Metiria was forced to resign herself, the Green Party election campaign was thrown into disarray, with the party in some polls falling below the 5% threshold to get into parliament. While the election did bring the Greens over the threshold, its MPs are down from 14 to 7, seriously eroding any bargaining power the Greens might otherwise have had in a potential Labour-Green-NZ First government. What, then, is to be done? What can the left do now to beat National and marginalise the racist voice of Winston Peters in the next general election, in 2020? Was Metiria’s sacrifice for nothing? I shall endeavour to answer these questions in the rest of this essay series! Update: you can read part two of this series here. Please note that the election results as stated in this essay were subject to minor changes on October 7 when the results of the special votes were released. A very interesting read, thank you. Particularly the ‘third way’ explanations both historical and current. The accessibility of your writing even discussing third way politics is remarkable. The international comparisons are incredibly useful in our reflection of this election too. Thank you very much!! I try to write in a way that people can understand and without all the leftie jargon that I have absorbed haha but it is hard! Very compelling, blending historical and current political narratives together so well. Let us not forget our nearest neighbour, Australia, and the Hawke/Keating governments ‘deregulated markets’ approach that inspired Blair’s campaign much more than Reagan/Thatcher because they were also Labor models. I’m actually not as knowledgeable about Australia as I should be- though interested to learn. Do you have any good sources on Hawke/Keating? This is shaping up to be a most cogent and coherent analysis of the crisis in progressive politics in Aotearoa. That is quite a compliment and I am somewhat blown away!! Thank you!! Interesting effort to explain what happened, I do not agree with some of the concludions and sadly the experience in European countries shows us that not voting and getting angrier all the time ultimately leads to a vote for the far right. Society will not accept this and in both the Netherlands and Germany those parties are ruled out as coalition partners so the poor/ underpriviliged will be losers forever. I remember the times when there was not only a strong middle class but lower incomes were enough to even have a little extra to spend on a holiday or some luxuries. But I could already see the neoliberals trying at every opportunity to lay their hands on that little bit extra those people had. We now have come to the point where a minimal amount of people own everything and the ones who rely on them will forever be in their debt hence they are too scared to change political sides with much encouragement to retain the status quo by unrelentent misinformation by NZTV opinionmakers. TOP gives me hope, at least, for a true representative voice for the “lost voters”… Next election cycle! I disagree on TOP. They are a party of very wealthy and arrogant white men who think the problem with politics is that it is not “evidence based” enough. That is not the problem- the problem is the dominance of one class over another; the wealthy want to hoard as much wealth and power to themselves as possible. The solution is for ordinary people to fight back through unions, political parties and social movements, not an arrogant millionaire’s party! Very little to dispute, much to agree with. Very well done! A very interesting analysis Elliot. I found your writing quite compelling. Are you descended from the Crossan’s who were early central Otago settlers? An excellent article and explanation of where we are at. I do have to disagree with only one point in that you relegate Winston Peters to being racist. I don’t know how you reach that opinion as I think he is the least racist politician that we have. He says things like they are and more so than any of the others. As a Senior Politician he has done more for NZ than any other Politician that I know. I know you will dismiss my comments as coming from a Winston Peters fan at any cost because that is just the way everyone dismisses him and anyone who supports him. I’m sorry for that but I belong to no party and never have. But I’ve watched and listened and I see! I look forward to your next blog and find your logic excellent in all other respects. Trying to be left-wing while mostly accepting an anti-worker ideology has failed miserably. We need a new story, or we’ll just be playing a right-wing, austerity-lite game. Some great work has emerged this year on what that new story might look like – I think it needs to merge the work of thinkers like George Monbiot and renegade economists like Modern Monetary Theory and Steve Keen. We can offer people a real vision and real hope for the future. Fully agreed and thanks for reading! Most impressed. Keep writing and politically active. NZ needs a Corbybn – Sanders political movement. Strident and indignant. This election was a’missed moment’! Thanks!! I certainly will keep writing and being politically active haha. And I agree that we need a Corbyn-Sanders moment- and urgently! People are suffering and we have no time to spare. What a great well written read. Thank you! I am absolutely sympathetic to why you chose to reject this broken political system, and I agree on the two major parties both being neoliberal. However, I do believe that there is some hope in the Green Party (I am a member so I am biased)- what Metiria Turei stood for was the most important political moment in years. She actually stood up and said it’s not okay that we have poverty in this country. The Greens are far from perfect and the Budget Responsibility Rules destroyed a lot of my faith in the party, but I believe the Greens are the best chance for a left-wing voice in parliament that we have. You are right on many of the issues you have chosen to put under the microscope here Elliot, but Winston being a racist is not one of them. I don’t support NZ First and I have never voted for them I don’t trust Winston, but as someone who has been on the receiving end of racist remarks and actions in a variety of contexts myself, I believe he fails the litmus test to be a valid racist by quite a margin. He is a populist of low cunning for sure, but his attitude about immigration and the Maori seats lacks the intrinsic vitriol and hatred required to classify him as a racist. Metira’s confession of lying to MSD to maintain the level of benefit payments she was receiving was brave in a sense, but it was also strategically ill advised. James Shaw was adament that Metiria had cleared her speech with him before making it. His decision to support her in making it was politically naive. Trying to get “cut through” on the inadequacy of benefit payments with such a speech during an election campaign had “red lights flashing and sirens screeching” for me as soon as she made it. I can’t believe that neither of them saw how risky that was going to be! Finally I think you are being a fraction too tough on Jacinda on the way she handled the taxation issues. Experience from the way David Cunliffe got roasted over his muddled presentation on Capital Gains tax in the last election should have alerted Jacinda to the way National would attack any further instances of muddled thinking about taxation. She actually chose to be as clear as she could be under the policy they had adopted, but the policy had shaky foundations and she didn’t move to correct that until it was too late. Having said that I find it difficult to be too judgmental of her on that score. She only had a bit over seven weeks to present herself as a credible alternative to Bill English as our prime minister. If she had been in the job as long as Andrew Little had been, she should have had every ” i dotted and t crossed” prior the election campaign started. But she didn’t have that luxury and Grant Robertson should have made it his personal crusade to ensure that everything she said about taxation was totally non duplicitous and crystal clear. I think she did a great job and whatever the outcome is going to be she will have learned some valuable lessons from this experience and won’t repeat the same mistakes again. Whatever strategic errors the Labour and Greens teams made during the campaign, distorting facts and pedaling outright lies to the nation remains the sole territory of National. I personally find it very worrying that they have more than an even chance of continuing to run the country. Elliot, this is an interesting and thoughtful analysis. I feel it is weakened somewhat by its reliance on UK comparisons, especially on the May vs Corbyn election. There are four important differences with the latest NZ election. First, the UK election was under FPP, which operated to unify almost all opponents of the Govt behind a single candidate. Second, Theresa May, unlike Bill English, proved to be an incompetent campaigner. Third, the UK had been through a long period of real austerity since the GFC, whereas NZ has not; it’s unsurprising perhaps that the precariat was less mobilised to vote in NZ than in the UK. Fourth, NZ has an unusually high proportion of property investors, whose interests are directly affected by any change in capital gains tax – 14.4% of NZers have property investments within NZ, while the equivalent in UK is 4.3%. This fact may help to explain why the swing to Labour in Auckland was rather depressed. I also think you are unduly harsh on Jacinda Ardern. She is a talented leader and skilled political manager, and she has a keen interest in ideas beyond Blairism. She was handicapped at this election simply by being dropped into the leadership at a late stage, when Labour had not done its homework on policy ideas for the campaign. There was no good reason, for example, why Labour could not have researched a firm and detailed proposal for a capital gains tax, tested this on focus groups, and presented it to the electorate at the opening of the campaign. (Just as Clark/Cullen did with their tax increase promise in 1999). But after nine years in Opposition, nothing had been done, so Jacinda had to fall back on the unsatisfactory idea of asking a committee to look at it. What you lack in years,you possess in wisdom. Waiting patiently for part two. The following is the best in-depth, serious analysis of the election result yet, (from either the Left or the Right), that I have read. While it is understandable, much of the reaction thus far involves negativity towards voters and non-voters alike – largely consisting of accusations that the electorate are inherently either selfish or apathetic. This analysis does not feel right to me at all. We are allowed to weep, and we are allowed to lash out. To be emotional in this time is inevitable. My instinctive response is to try to avoid my emotions and rationalise everything, hence this article! But it is counterproductive and, in my view, quite unfair to attack the voters. I’m blown away by your words Pat. Thank you!!! Great read – saddened it is so. Still have hope change will come – sometime soon. Small steps. We need to think in terms of the big steps that will dramatically improve people’s lives, and convince people to support them. Small steps did not cut it this time and they will not next time either! Many thanks for this excellent analysis. IMHO you underestimate the impact of unionism. The large, relatively prosperous middle class that was typical of the Western world during the middle of the 20th century was an aberration in capitalist history, and the uber rich were determined the get rid of it. What brought it about was a rise in the power of unions, aided by union-friendly legislation from Labour governments. Neoliberal “reforms” targeted unions at least as much as they proposed regressive taxes such as GST & reduced government spending. The ruling classes were determined to smash labour power, and this led to a deterioration in wages for those at the bottom. So it’s not just about progressive taxation. Progressive taxation won’t make up for pitiful wages. Union rights and union membership need legal protections they no longer have. In part two I am going to stress how smashing the unions was the most important piece of the neoliberal project, and that rebuilding the unions must be the most important plank of our politics. So I absolutely agree with you! I was just focusing on a few examples in this one. Lol at that Gini co-efficient graph. You may as well be Fox news, using deceptive scaling like that to try and deceive people into thinking there has been some massive increase in inequality over the past 10 years. Neo-liberalism is one of the best things to have ever happened to humanity. It has drastically decreased global poverty, bringing tens of millions of people better lives than they had under white first policies that you want to bring us back to. Global poverty has been reduced by trade unionism in developing countries and by developmentalist, Keynesian states such as China and the governments of the Bolivarian Revolution in South America. Every country that has implemented neoliberal policies has seen a sharp rise in poverty and inequality. Have a look at what was happening in countries like Chile while neoliberals had power. A brilliant and timely analysis of what happened this election and articulates how many of us feel about Labour and their ‘Third Way’ politics. Thanks!! I am glad there is awareness and agreement on Third Way politics. It needs to be smashed if the crises of inequality and climate change are truly going to be dealt with! A cogent and well researched article but it fails to mention that it was Labour who first introduced NZ to neoliberalism in the form of Rogernomics. Before we knew what was happening the shape of our society changed for the worse. A lot of older voters could never forgive Labour politicians. I think Jacinda has a chance, whether it is now or in three years to be bold and bring about radical change. Yeah sorry that I skipped over the fact that it was Labour who first implemented neoliberalism- I see Douglas, Caygill and Prebble as being distinct from Third Way politics and did not want to confuse the two. That wing of the Labour Party mostly quit and founded ACT, while the Clark-Cullen government implemented moderately redistributive policies without touching the structures of neoliberalism. For what it’s worth, Lange was also closer to Third Way than to his New Right revolutionary colleagues. What a lovely, lucid piece of writing. In common with a couple of other commentators, I have a bit of a quibble with Peters being cast as a racist – his position seems rather more nuanced than that. And in common with Euan Mason, above, I think the determination to break the unions has played at least as large a part in developments as the desire for low taxes and small government. But these quibbles aside, I find your analysis impressive. Great analysis – well written. Thank you very much – eagerly waiting for the next one! Elliott Crosson without taking into account how the special votes might narrow the gap between National and Labour on Saturday, I think that it was actually very important for Labour to make up the ground where it did from the Greens et al at this election. Just like it was important for National to make up the ground where it did in the 2005 election from Act et al. I will also point out that the reason why National did not become the government on that occasion was because Helen Clark stopped about 7% of voters swinging from Labour to National by saying that the Maori party were the last cab on the rank, which lost her four Maori seats to the Maori party but enabled her to hold onto something like eight other seats. I will also point out that John Key in cuddling up to the Maori party managed to gain the 7% of Labour that Don Brash could not. It seems that there is a demographic in New Zealand who would prefer National to deal with Maori issues like land settlements etc rather than Labour. I suspect that same 7% also would prefer to give National a go in dealing with tax matters before they give Labour a go, which they do after National mess it up. If they had of given Labour a go this time Labour would have ended up with 43% of the vote and National would have ended up with 39% and hence Labour and the Greens would have ended up with 49% of the vote, which would have given them a majority after adding in their share of the approximate 4% of the wasted vote accumulated. Very good and quite interesting. I have a different view on a few parts however. Turei deserved what she got. She came to social justice very late in the day after steering the Greens away from where Bradford would have taken them. In the process (5 terms) she has blown the enormous good will built up by the amazing first Green MPs. The Greens offer no threat to capitalism except for a ‘slightly less awful’ version powered by wind turbines and solar panels. As for Green MP Jan Logie, I was at a Child Poverty Action Group forum before the election. In response to a question about child poverty, she said we need to have a “conversation about colonisation”. Utterly unhelpful and frankly I’m reminded of the line that goes, ‘You have to be on the planet to save the planet’. Far too much praise for Corbyn. He has sat in Westminster on a fat salary watching the UK working class get hammered and has never pushed for PR preferring to wait for the pendulum to swing Labour’s way so they can become government with 55% of the seats and only 38% of the vote. Meantime the poor he claims to care about endure Tory governments for years and years. Yes Jacinda and Labour blew it on tax. Why vote for a party that is only going to soft-pedal everything it used to stand for. They’ll talk about race and The Treaty till the cows come home but class – never! 50% of people in prison are Maori, yes, okay to discuss. 90% of people in prison are poor, not okay to discuss. Just like the Nats in that regard. Boasting now about having 13 Labour MPs who are Maori, not boasting about how many Labour MPs are ‘working class’. That suits the elite just fine and makes solving poverty and inequality that much harder.